Welcome to the three inch flying Pyramid page. It is the simplest of the kits since it does not need a parachute for safe recovery. It flies on the mini motors made by Estes and it provides exciting flights in small spaces. This is a great rocket for large back yards. 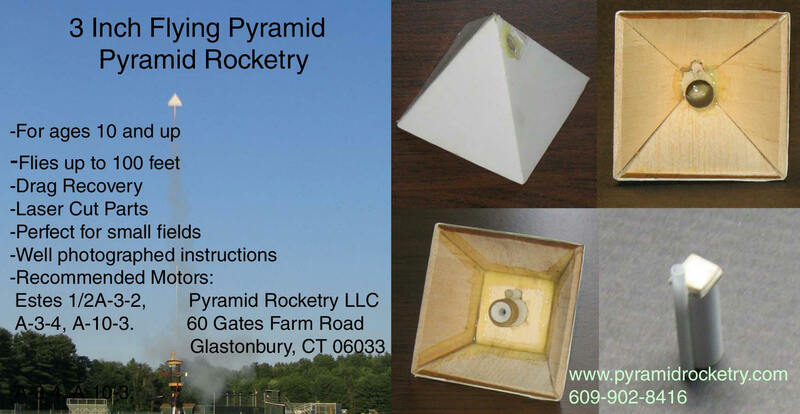 Simple pyramid that flies on Estes micro motors. Perfect for backyard use! Flies up to 100' on an Estes A-3-4 motor. Precision laser cut balsa wood and aircraft grade plywood parts.